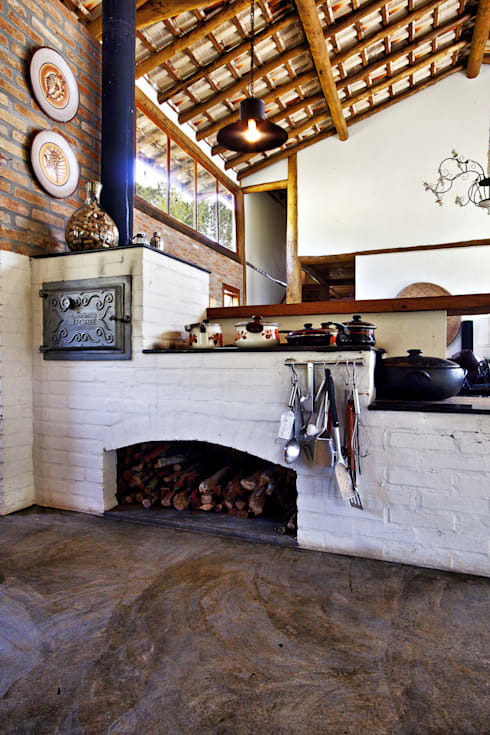 Grills and wood ovens - 7 crazy options! Embracing rustic charm is a rising trend in modern homes. Many dwellings today have an outdoor barbecue and kitchen, where the homeowners can host parties and kick back while they cook up a storm. Some homes follow such a theme inside the house, too. Many of these areas are designed in a rustic style, blending perfectly with the surrounding greenery as well as the facade of the home. These pieces have a natural and raw appeal that we just can't resist… And so here they are—7 great outdoor kitchen ideas! Who says a furnace like this one should only be used outside? 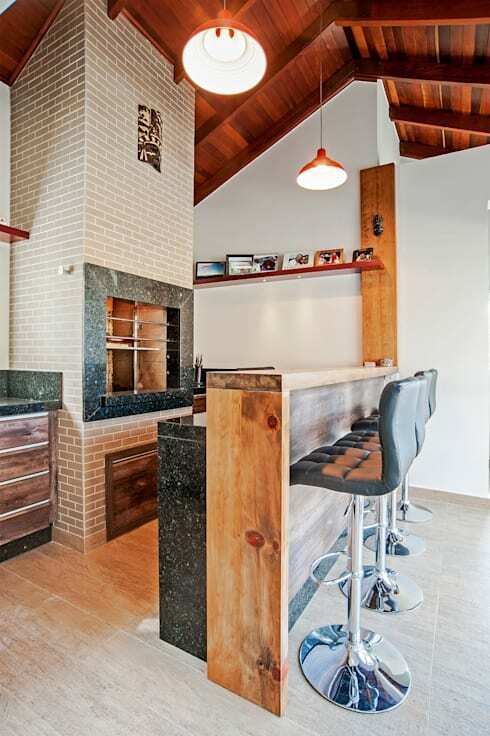 The designers have brought this wood oven inside for a hearty, warm statement. At the same time, they've opted for a chic and lightweight version by whitewashing it, so it doesn't look too chunky when placed indoors. This is what we call smart style! The beams, ceiling and artwork complete the rustic look in this airy space. 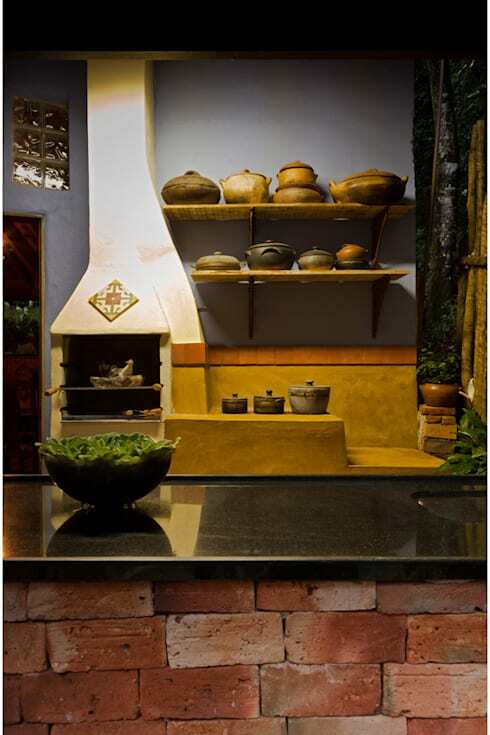 This charming corner gets most of its charm from the large furnace and stove, as well as the grill that the designers have installed in this garden. The stone facade of this piece is perfect because it brings out the beauty of the abounding greenery of the space. Meanwhile, the chrome pieces are the perfect partners in crime for convenient barbecue time! Design Outdoors Limited, a company offering garden and landscape supplies designed this beauty. This one really takes us back in time! The iron gate is an old school element that adds a real vintage air to the space. A bucket with firewood and the raw finish of the wooden counter complete the look. This is a great addition in a space defined by its bucolic vibes. This industrial chic kitchen welcomes in some farmhouse style, as the designers have softened the colours and created a more rustic palette with faded fittings. 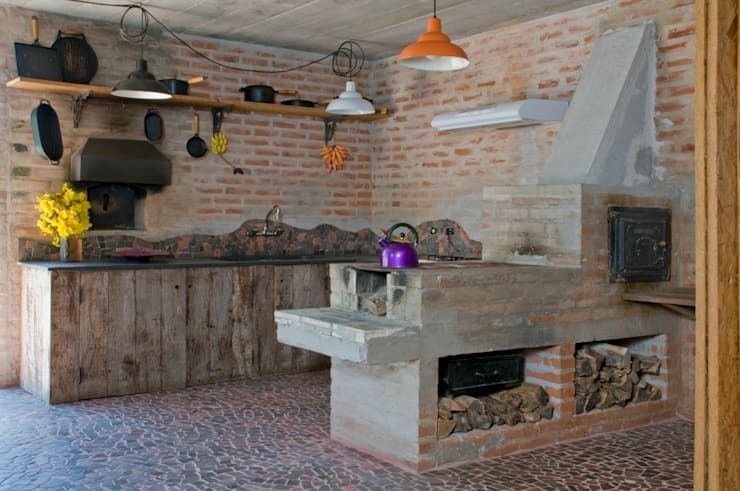 The large furnace is done up with exposed concrete, while wood also plays a starring role. 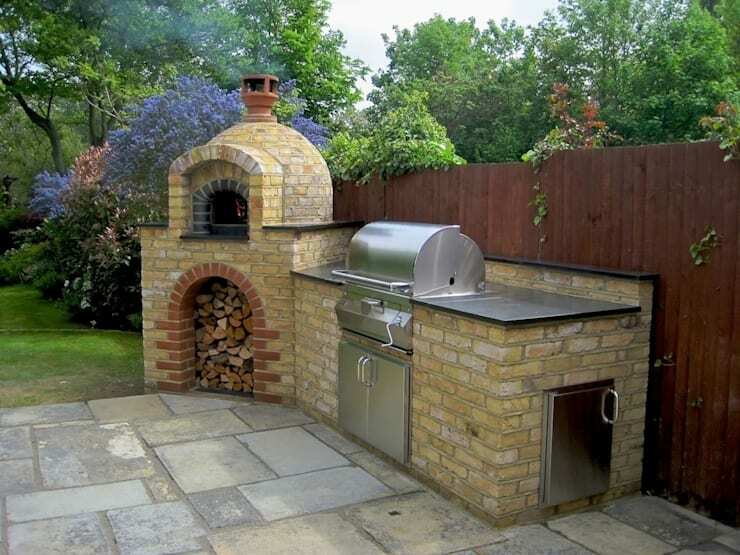 Create a pizza bar with a wood-fired oven built into your kitchen. This furnace is lined with granite and also has a breakfast nook in wood placed directly opposite, for easy service! The rest of the space has been done up with white brick tiles and a wooden sloping roof. Pretty and colourful tiles, as well as copper utensils hanging from the walls—who could resist a meal in such a charming kitchen? 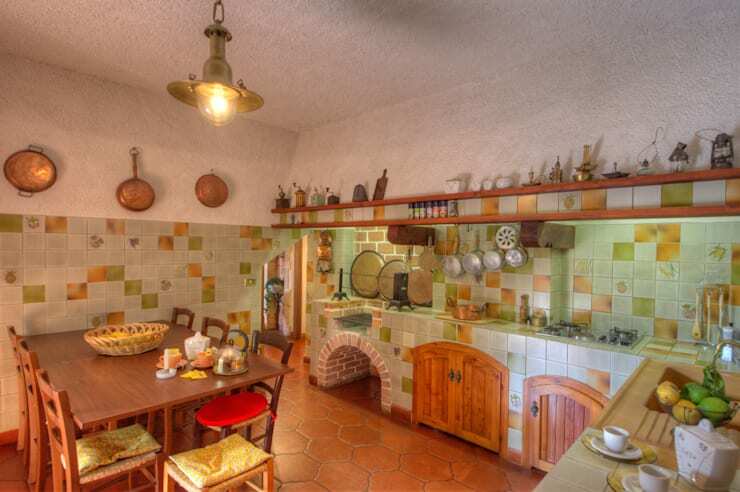 The oven enclosed by wooden doors is also a warm and traditional addition here. 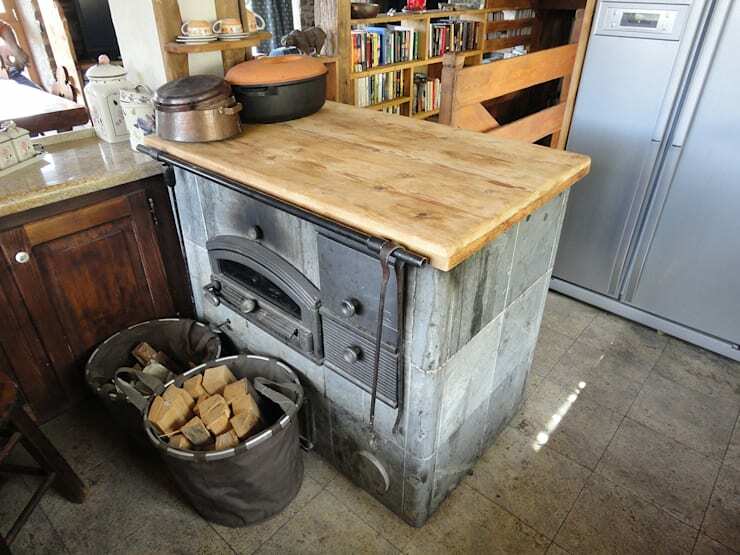 This kind of oven could easily be installed in a compact urban home too. Get some classic appeal into your kitchen with this kind of charming feature! For more kitchen ideas, don't miss: 11 smart ways to make your small kitchen feel spacious. Which of these ovens would you love to own?